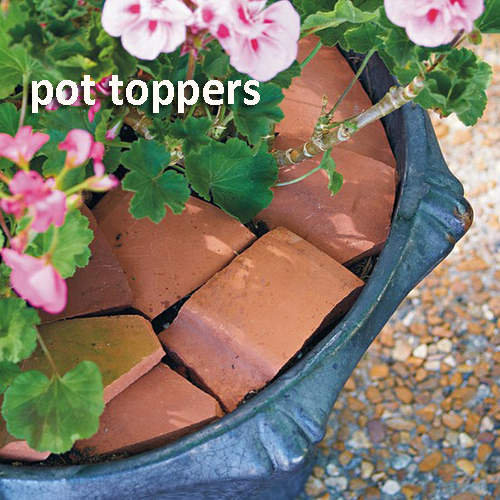 If you have never heard of pot toppers then this post is for you. What we are referring to is the items you place on the top soil of your garden planters. 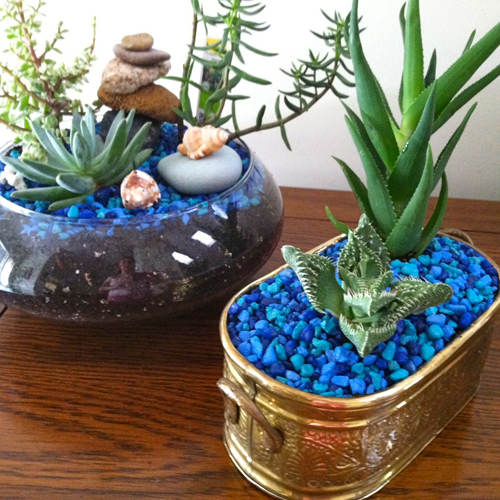 Why you ask do you need to put anything on the top soil of indoor or outdoor garden pottery? It involves a couple of reasons. The first is by protecting the soil and therefore the plants root exposure you are keeping the plant from really cold or hot weather. In the cold the water you put on your plants will freeze so the topper will keep the soil warmer and stop it from freezing. In the warm weather the topper will keep the soil cool and the roots won't be exposed to the intense heat and the possibility of drying out faster. 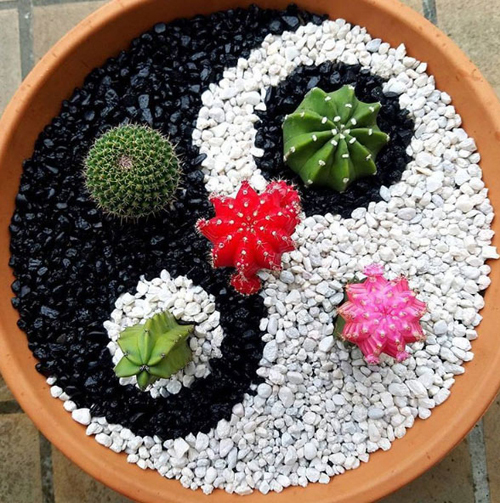 A second reason is a pottery topper will protect the soil from having the nutrients depleted as fast as if the soil is exposed directly to the sunlight. The whole idea is to create a nice moist bed for the potted plants roots to rest while the plant is dormant or in a growth season. All plants have roots that like nice dark, moist, even temperature conditions. Lastly, as you can see from these photos the items you can use as a pottery topper are only limited by your imagination. This is your chance to get creative. Use rocks, colored pebbles, pine cones, plastic toys or beads, pot shards, corks, fruit and so much more. 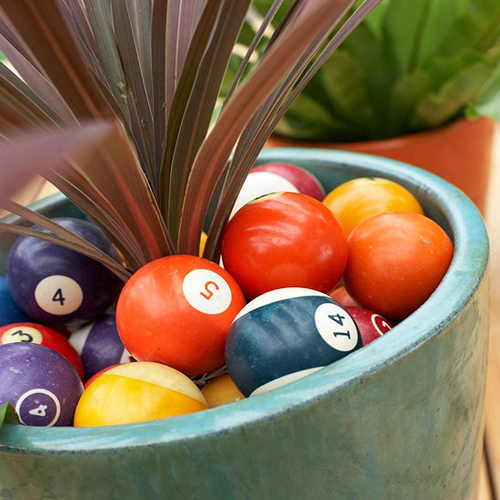 It's really a fun thing to do and it adds a lot of pizazz to your garden pottery & window boxes. 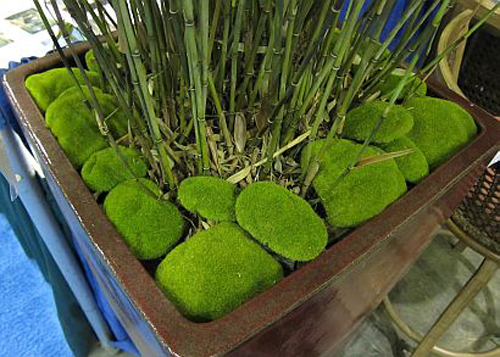 Don't let the soil in your indoor or outdoor garden containers sit unprotected. This little step can mean the difference between success and failure! And, look good!